Very often I see one question flooding in all forums, “How to upload a File using WCF REST Service? “, so I thought let me write a post on the same. Let us first create Service Contract. If you notice above Service contract is creating a REST resource with POST method. One of the input parameter is Stream. Once Contract is defined we need to implement service to save a file on sever location. You need to make sure you have a folder FileUpload created on D drive of your server else you would get “Device not ready “exception. So far we are done with Service definition and implementation and now we need to host the service. I am going to host service in a console application. Host program would have reference of System.ServiceModel and System.ServiceModel.Web. If you are not able to find System.ServiceModel.Web reference to add in your console application then change the target framework to .Net Framework 4.0 from .Net Framework 4.0 client profile. Press F5 to run the service hosted in console application. Service is up and running so let us call this service to upload the file. u<%@ Page Title="Home Page" Language="C#" MasterPageFile="~/Site.master" AutoEventWireup="true"
To learn more about ASP.NET visit <a href="<a href="http://www.asp.net">http://www.asp.net</a>" title="ASP.NET Website">www.asp.net</a>. You can also find <a href="<a href="http://go.microsoft.com/fwlink/?LinkID=152368&amp;clcid=0x409">http://go.microsoft.com/fwlink/?LinkID=152368&amp;clcid=0x409</a>"
On click event of button we need to make a call to the service to upload the file. In above code, I am making a HTTP Web Request and explicitly specifying method is POST and content type is text/plain. We need to get the Request Stream and write the byte array in that. As HTTP response you can get the status code. I hope this post was useful and saved your time to upload a file. 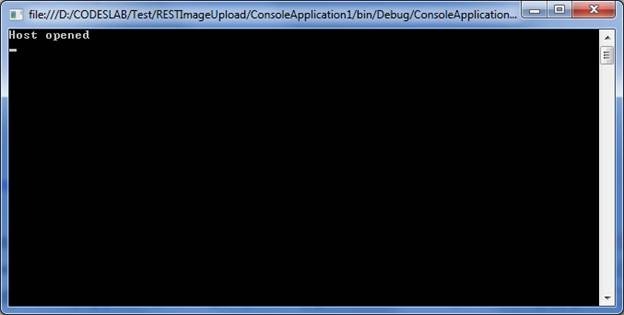 In next post I will show you how to upload an image from Silverlight client. Thanks..very useful, it would really helpful for me to upload image file on server…. Thanks lot.. I will implement this…. 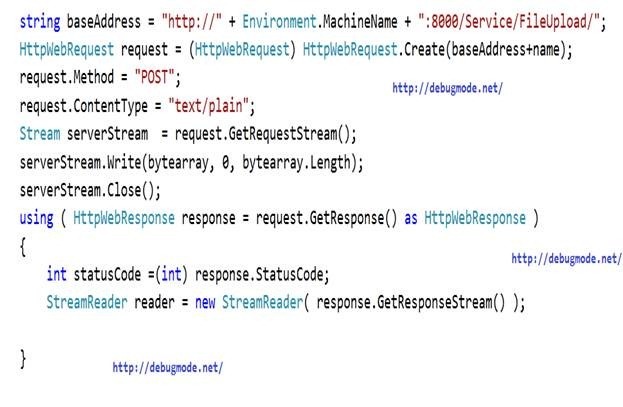 And looking at all the MSDN documents, they state that to use a stream, the only parameter can be the stream. Can you tell me how you are able to send a string parameter as well? I don’t understand. I can only get 1 parameter when using streaming. It won’t let me add the fileName parameter. I’m stuck on that issue for 3 days, can anyone help me ? I’m sorry which post ? The service operation ‘Post’ expected a value assignable to type ‘Stream’ for input parameter ‘fileStream’ but received a value of type ‘HttpRequestMessage`1’. any idea how I can fix this? I’m stuck with this problem for a few days now. I think Mr. Fisher’s idea to use fileStream.CopyTo to save the incoming stream is good. I just tried his idea out on my own code and it seemed to work for me. BTW (Rant): It would be nice if this site supported Windows Live Authentication. I’m getting tired of being forced to lug my Google Credentials around when I mostly use Microsoft Products. For one, Google asked me to supply the month and day of my birthday for everyone on Google Plus to see. There is no need for people to see my birthday. That’s just one more piece of information hackers can use to steal my identity. I’ll be glad when Microsoft obliterates Google and Apple off the face of this planet!!! Please help me fix these. how to this code work on android?